HygroTherm™ Humidity & Temperature Controller | Zoo Med Laboratories, Inc. The HygroTherm™ is a Thermostat and Humidistat in one! It controls up to 1000 watts of combined temperature and humidity control devices. It has a 2-in-1 Remote Temperature/Humidity Sensor with 5 foot cable. 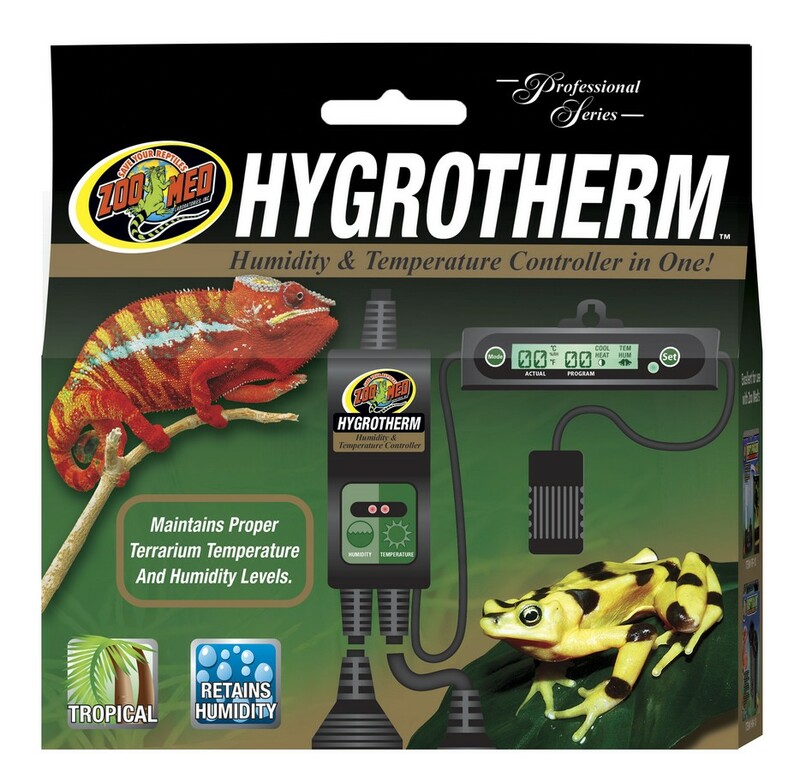 It’s great for use with Zoo Med’s Repti Fogger™ Terrarium Humidifier or Repti Rain® Automatic Misting Machine. The HygroTherm™ has a nighttime temperature drop feature controlled by a photocell, built-in memory which stores settings in case of power failure and an alarm that can be set to flash when the temperature or humidity reaches extreme high or low levels. Controls temperature by turning on/off heating devices in “HEAT” mode or by turning on/off cooling devices (e.g. fan) in “COOL” mode.